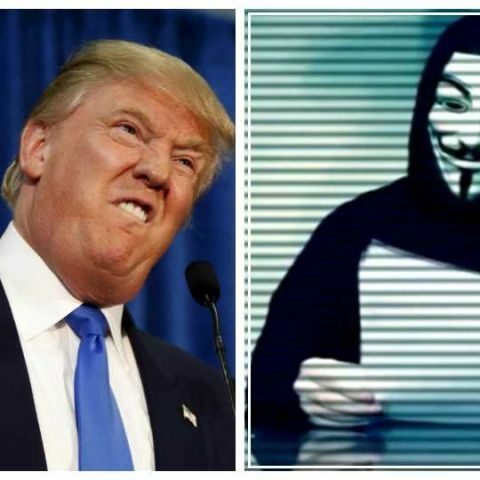 Hacktivist organisation Anonymous has declared an all out war against Presidential hopeful, Donald Trump. Hacktivist group Anonymous has announced what they call ‘OpTrump’. The operation is Anonymous sounding cyber war trumpets against Presidential hopeful, Donald Trump. The hacker organisation is calling on “every able person with a computer” to join OpTrump and help destroy Trump’s campaign. In a recent video, Anonymous addressed Trump saying, “You have shocked the entire planet with your appalling actions and ideas...You say what your current audience wants to hear but in reality you don't stand for anything except for your personal greed and power." The hacktivists will make their first strike on April Fool’s Day, April 1, by targetting Trumpchicago.com. "This is a call to protect out future, our freedom and our very way of life. This is a call to you..."This is not a warning. This is a declaration of total war. Operation Trump engaged. We are Anonymous. We are legion. We do not forgive. We will not forget. Donald Trump , it is too late to expect us,” with that, the masked man on the video ends the communication. You can watch Anonymous' OpTrump full video here. Can Anonymous really 'kill' Facebook? What Is Your Review Of Satguru Total Services Pvt Ltd?